What's in it for YOU ! 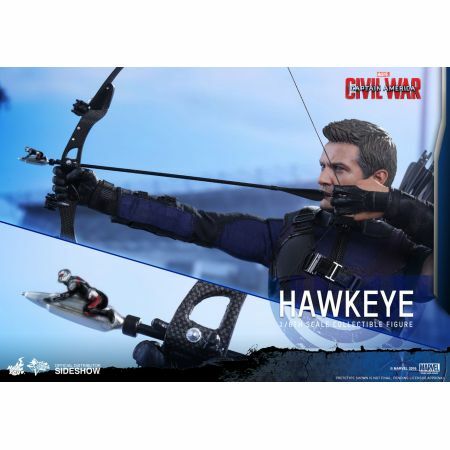 Following the release of Marvel's latest trailer for Captain America: Civil War, fans around the world are getting more and more excited about this epic battle between their favorite heroes in the Marvel Cinematic Universe! 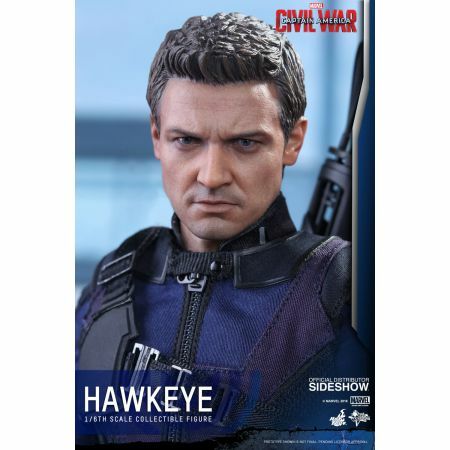 Sideshow and Hot Toys are thrilled to continue the wave of high-end collectible figures based on this highly anticipated film and officially present the new Hawkeye Sixth Scale Collectible Figure! 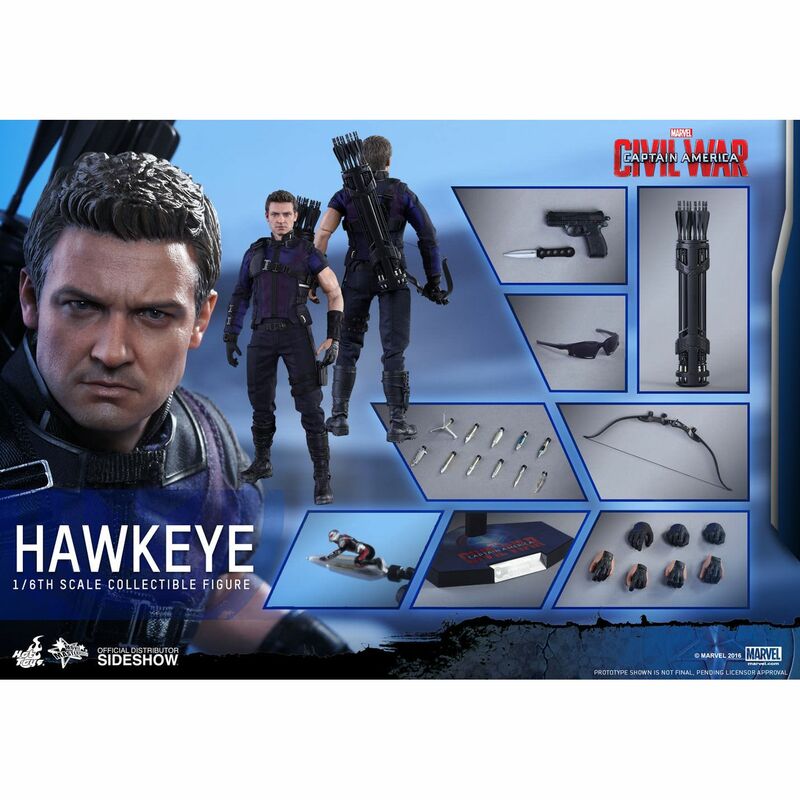 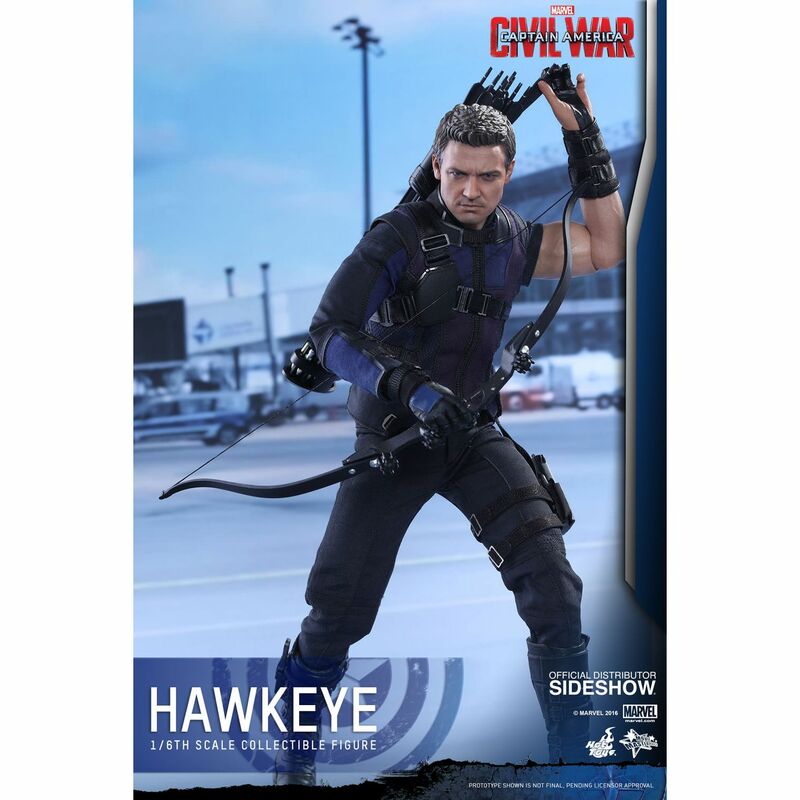 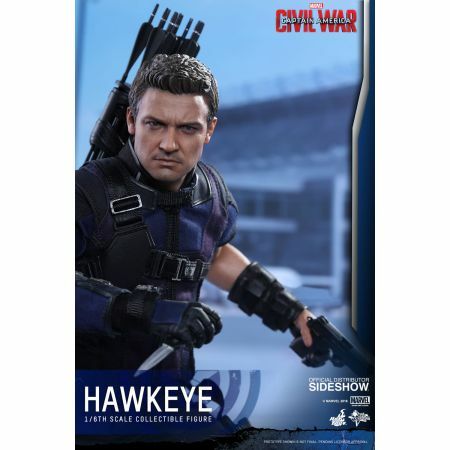 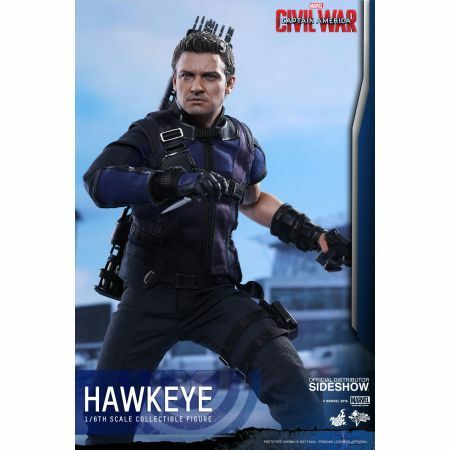 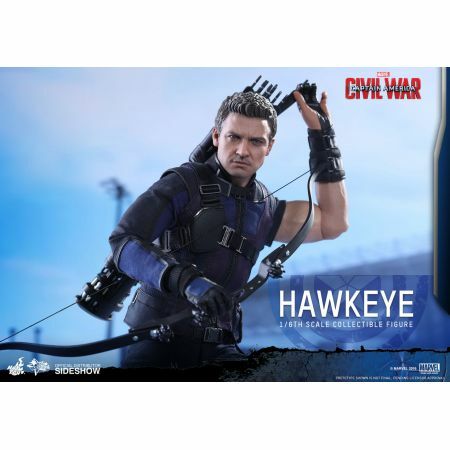 The movie-accurate Hawkeye Collectible Figure is specially crafted based on the image of Jeremy Renner as Hawkeye in Captain America: Civil War. 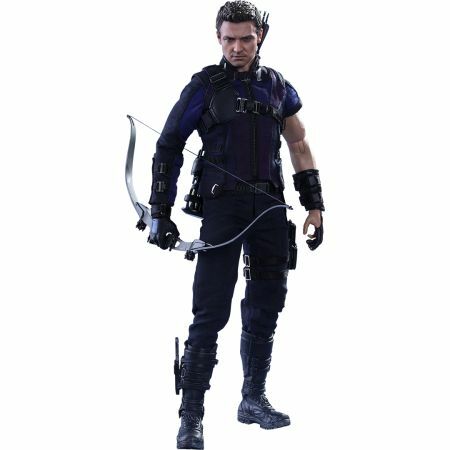 It features a newly painted head sculpt, brand new costume with asymmetrical sleeve design, Hawkeye’s iconic bow and arrows, a specially sculpted interchangeable arrowhead with miniature Ant-Man, a pistol and dagger, and a Captain America: Civil War themed figure stand. Don’t miss the chance to add this master archer of Team Captain America to your collection today!